To celebrate the most exciting week in the racing calendar, Boylesports are giving away a free €/£5 to all new and existing players in their “Italian Stallion Cheltenham Giveaway”. 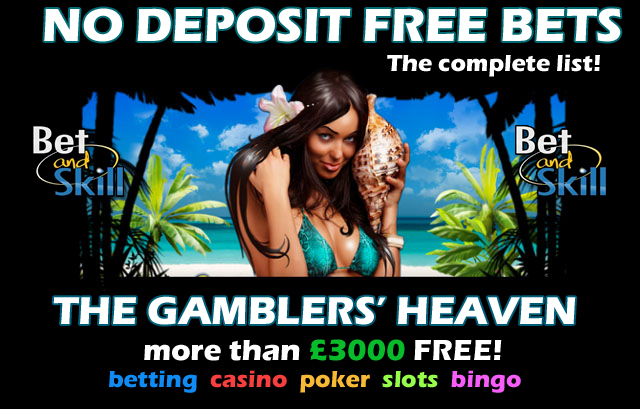 Don't miss this great no deposit bonus. For new players it couldn’t be simpler, open an account between the 9th & the 18th of March and open “Rocky”, you’ll then be asked to “Accept” the bonus. Once you’ve accepted the €/£5 will be added to your balance instantly! New players will automatically recieve their bonus once they register and open "Rocky" in the Casino lobby. To be included in this offer, existing players must login and choose to “Opt In” using the “Opt In” button above. Players will receive their bonus by 10am the following day, to activate the bonus players must login and open “Rocky” and choose “Accept” when prompted. Players will be asked to “Accept” or “Decline” the bonus offer once they have opened any game at Boylecasino or when opening the Download Client. Players must chose to accept the offer should they wish to participate. The bonus will be credited to your bonus balance immediately upon selecting “Accept”. If you chose to accept the bonus the player must stake 50 X Bonus within 7 days before withdrawal is permitted. While the bonus is active the players balance is broken down into Real Cash, Bonus and Pending Winnings. Once all wagering requirements has been met bonus funds and pending winnings will become real cash which can be seen from the My Account section and the player is free to withdraw the total amount. If you trigger another bonus while completing the wagering another bonus then it will be added to a bonus queue. The sum of all bonuses will be shown in your Casino balance and wagering requirements will accrue towards your first bonus until wagering is complete and then accrue on your next bonus. Withdrawals before wagering requirements for all bonuses are met will forfeit both your Bonus balance and any Pending Winnings. Some games will have a lower weighting than others meaning that additional wagering is required on those games, for a full list of game weightings please see “Bonus Game Weightings” on our Help page. Ireland, United Kingdom, Spain, Germany, Sweden, Australia, Austria, New Zealand, Gibraltar, Malta, Finland, Norway, Cyprus, South Africa and Luxemburg. This bonus cannot be used in conjunction with any other offer. 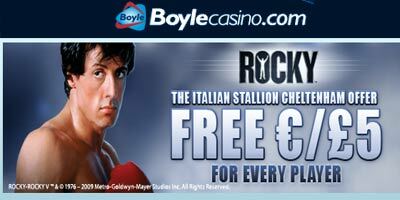 "Boylecasino: The Italian Stallion free €/£5 offer (no deposit)"